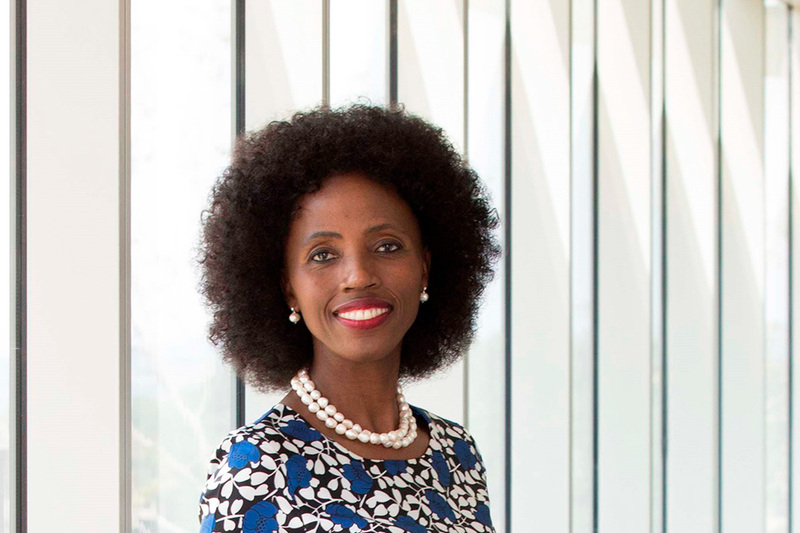 As Head of Responsible Business at Old Mutual Limited, Khanyi Chaba is responsible for leading the design and roll-out of the company sustainable development strategy for all Old Mutual Limited operations across the continent. Khanyi Chaba is currently the Head of Responsible Business at Old Mutual Limited (OML). She is responsible for leading the design and roll-out of the company sustainable development strategy for all Old Mutual Limited operations across the continent. This includes setting the strategic direction and OML responses to UN Global Compact and Sustainable Development Goals. Khanyi manages OML’s sustainability reporting, memberships, internal and external stakeholder engagement including Government, external agencies and industry organisations. She is a qualified Architectural Technologist (University of Johannesburg, previously Wits Tech), Marketing Strategist (Institute of Marketing Management), Business Management (University of Cape Town), Interior Decorator (Vega and Design School of London) and Executive General Management (GIBS). She attended the Cambridge Institute for Sustainable Leadership (Cambridge). Khanyi’s career in Financial Services spans over twelve years, eleven of which were with Standard Bank, holding positions from Director of Group Sponsorships, Private Banking, Affordable Housing to ultimately Customer Experience. She served as a committee member of the SA Banking Association and was instrumental in the establishment of the Financial Services Charter. Prior to banking, Khanyi started her career in the Construction Industry where she spent 15 years as a built environment professional. Over her tenure, she held various roles including Technical Designer, Business Development and Marketing Director. She was the first female Executive Board Member at Corobrik. Her passion for community development and creating a positive impact started in the early days of her career in the Construction Industry. She was the founder and Chairperson of South African Women in Construction (SAWIC), a Board member of Construction Industry Development Board, and an advisory council member to the Minister of Housing and Public Works. She is the Deputy Chairperson of the Soweto Plough Back Project. Khanyi has been fostering and mentoring children from difficult backgrounds and providing support for their educational needs. She is involved with the Shoshana Foundation, raising funds for single mothers and child-headed households. She is the Trustee of the Dr Thandi Ndlovu Children Foundation, whose aim is to provide financial and emotional support to young people from improvised communities. Khanyi is an Ambassador for Smile Foundation (providing financial support towards surgical operations for children with cleft lips). She is the campaigner for ‘Summit for Hope’ (raising funds to educate disadvantaged matriculants through summiting the highest peaks across continents). She is a Non-Executive Board member of Motheo Construction Group and a Board member of the United Nations Global Compact (SA Networks). She is also a member of the South African Institute of Directors. Her endeavours for community work were ultimately acknowledged when she was voted the SABC Lebone Woman Achiever of the Year Award in 1998. She is passionate about adventure sports and has achieved 10 medals in the Comrades Marathon and 10 medals in the Two Oceans Marathon. She also holds the 6 Finisher Star for World Major Marathons by completing the Tokyo, Berlin, New York, Paris, London, Boston and Chicago Marathons. She also holds medals for the Paris and Great Wall of China Marathon. Khanyi summited Mount Kilimanjaro (highest peak in Africa) in 2008 and Mt Elbrus in Russia in 2018 (highest mountain in Europe)! She is a public and motivational speaker who has delivered talks at national and global platforms.